If you are seeking a vacation that will fulfill your taste for adventure, consider booking a tour to South Africa. This southernmost country on the African continent offers spectacular scenery, amazing wildlife, and tons of cultural attractions. Before you head out on your tour, take the time to read up on some information about South African history and people. Let’s explore some fast facts about South Africa. South Africa is home to hundreds of wildlife species. In fact, South Africa has more different types of wildlife than any other country in Africa. When you visit South Africa, you will encounter giraffes, wildebeests, ostriches, and many other animals that are iconic to African safaris. If you want to get up close and personal with some of South Africa’s wild residents, consider including a safari as part of your tour package. South Africa boasts eight World Heritage Sites. 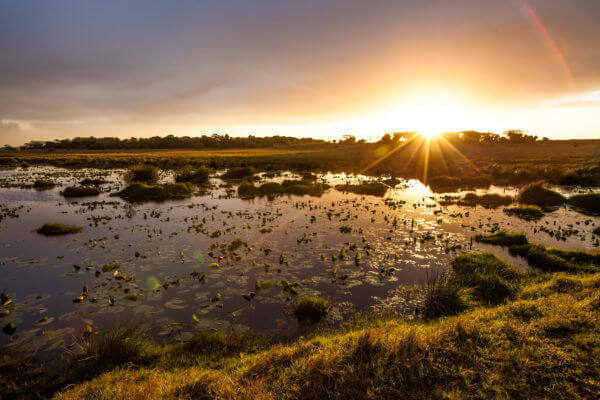 During your vacation in South Africa, you may want to explore some of the eight World Heritage sites that are located within the country’s borders. The World Heritage Site designation is given to places that are significant to people around the globe. From Robben Island to the iSimangaliso Wetland Park, South Africa offers many different cultural and geographical attractions. South Africa hosts many different sporting events. Residents of South Africa love to spectate and participate in sports. When you travel to this African country, you may want to check out a game of cricket, a golf tournament, or a rugby match. South Africa boasts sporting events that will thrill every type of athlete. To get started on planning your trip to South Africa, get in touch with the team at DSA Vacations. They specialize in tours of South Africa and will make sure that you have the time of your life when you visit this beautiful and richly diverse country. For additional information about your upcoming South African tours, visit our website or give them a call at (800) 203-6724.